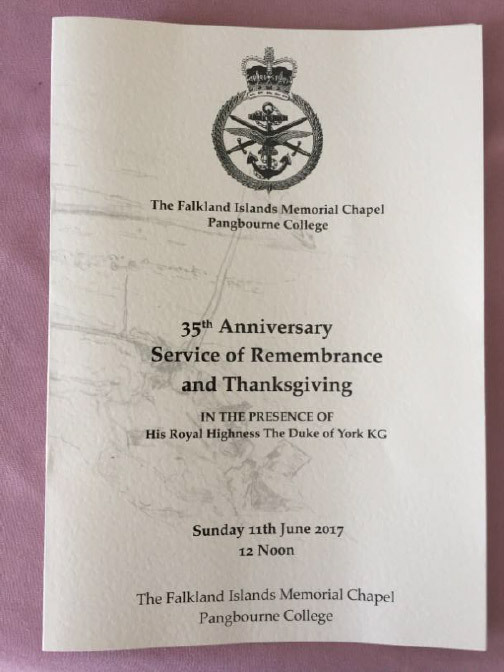 On 11th June 2017 our President attended the 35th Anniversary Service of Remembrance and Thanksgiving at the Falkland Islands Memorial Chapel at Pangbourne College. 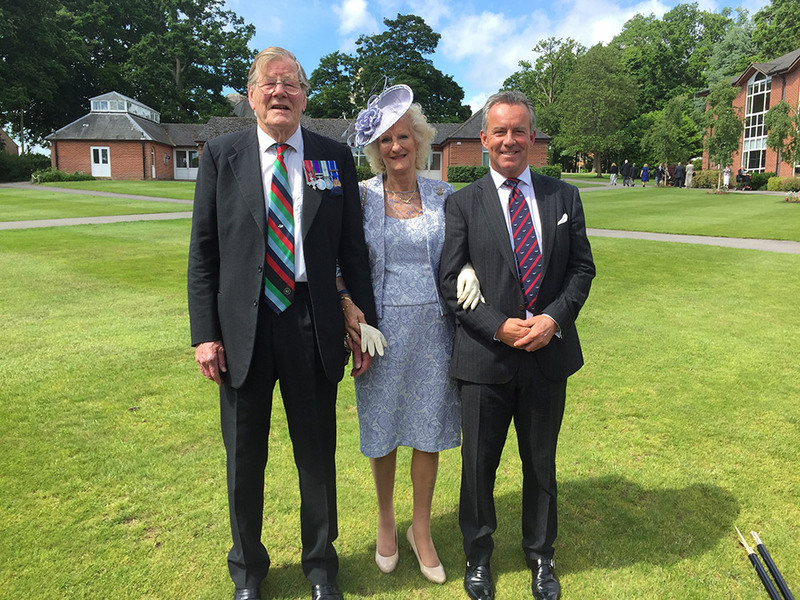 HRH The Duke of York was also present as were over 800 invited guests including veterans and their families. The Falklands War lasted ten-weeks and was a conflict between Argentina and the United Kingdom over two British overseas territories in the South Atlantic: the Falkland Islands, and South Georgia and the South Sandwich Islands. It began on Friday, 2 April 1982, when Argentina invaded and occupied the Falkland Islands (and, the following day, South Georgia and the South Sandwich Islands) in an attempt to establish the sovereignty it had claimed over them. On 5 April, the British government dispatched a naval task force to engage the Argentine Navy and Air Force before making an amphibious assault on the islands. The conflict lasted 74 days and ended with the Argentine surrender on 14 June 1982, returning the islands to British control. In total, 649 Argentine military personnel, 255 British military personnel, and three Falkland Islanders died during the hostilities. The Service of Remembrance was to pay tribute to the fallen. Number 1 (Fighter) Squadron played a vital supporting role in the conflict with 10 aircraft deployed to take part in Operation: Corporate – the British name for the operation to retake the Falkland Islands from Argentina in 1982.When news of the invasion reached No.1 Squadron back in the UK the pilots and ground crews were more preoccupied with an impending deployment to Canada for a NATO exercise and possibly even a starring role in an upcoming BBC documentary series. In addition, the Falkland Islands were located at least four thousand miles from a friendly air base well out of the range of the RAF’s aircraft without air-to-air refuelling and even then only a handful of the RAF’s types were equipped to undertake this. However, by the war’s conclusion the Harrier had proven itself a flexible, potent and credible capability, as no other aircraft in the RAF had the ability to operate to and from the carriers’ decks in VSTOL mode. Four aircraft were lost on operations but they provided invaluable close air support to the troops on the ground and proved a vital component of then overall war effort. The President proudly represented the 1(Fighter) Squadron Association at the Remembrance Service and also met up with several veterans at the event.